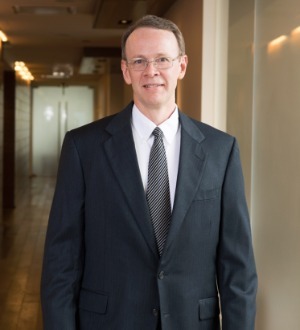 Ed R. Haden is a partner with Balch & Bingham LLP, chairs the firm's Appellate Practice Group, and is the author of the Alabama Appellate Practice (LexisNexis). Ed has twenty years of legal experience in the government and private sectors, has worked on over 100 appeals, and his practice focuses on appellate litigation in the Supreme Court of Alabama and the U.S. Court of Appeals for the Eleventh Circuit. Ed specializes in knowing the written and unwritten rules and practices necessary to get a case reviewed on the merits. He served as nominations and constitutional law counsel for Chairman Orrin Hatch on the U.S. Senate Judiciary Committee, chief counsel of the Courts Subcomittee for Senator Jeff Sessions, clerked for the Judge E. Grady Jolly on the U.S. Court of Appeals for the Fifth Circuit, and served as a staff attorney for Justice Harold See on the Supreme Court of Alabama. Ed serves on the Lawyers Advisory Committee for the U.S. Court of Appeals for the Eleventh Circuit and Alabama Appellate Rules Committee for the Supreme Court of Alabama.